Heights are not really my thing – I don’t like roller-coasters, cliffs or suspension bridges. Increasingly in recent years, I’ve had many friends (and family members) tell me how great zip-lining is, and how it’s “not-to-be-missed.” Who can pass up that sort of recommendation? I really have to hand it to the folks at ACE Adventure Resort, in Minden, West Virginia. Our zip lining guides were knowledgeable, professional and very understanding of everyone’s individual comfort level re: heights & zip lines. 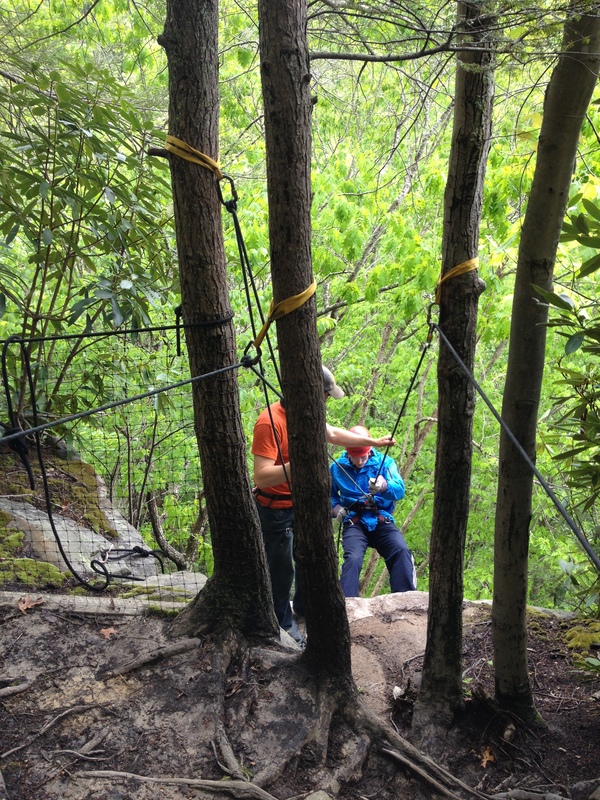 They instantly put me at ease about taking “the plunge”, and were more than willing to explain the gear, its function and technical aspects, as well as the physics of zip-lining. For those looking to get more details, check out the ACE home page, which offers a detailed description of the entire course, as well as videos which explain the safety features and function of the harness, lines and more. After zip-lining in the morning it was time to try out some of the other great experiences offered at ACE: rock-climbing and rappelling. We met at the “climbing hut” to pick up our gear and meet our guide – a friendly and knowledgeable young man, who explained the basics of what we were getting ourselves into and got us all geared up. Once we arrived at the rappelling site, I expressed considerable nervousness about rappelling off the side of an 80-foot cliff. Unfazed, he talked me through the entire process, and offered to let me try out the start, without committing to the full-rappel. I latched on and slowly leaned back, as the guide quietly encouraged me and made sure I was feeling (relatively) safe and secure. With that sort of professional (but not in the least pushy!) support, I felt confident enough to complete the rappel. When my feet hit the ground I admit to being shaky, but feeling great about overcoming my fear. The others on the trip with me had a blast, mastering the art of the rappel quickly and running up to the top to attempt it again with gusto. 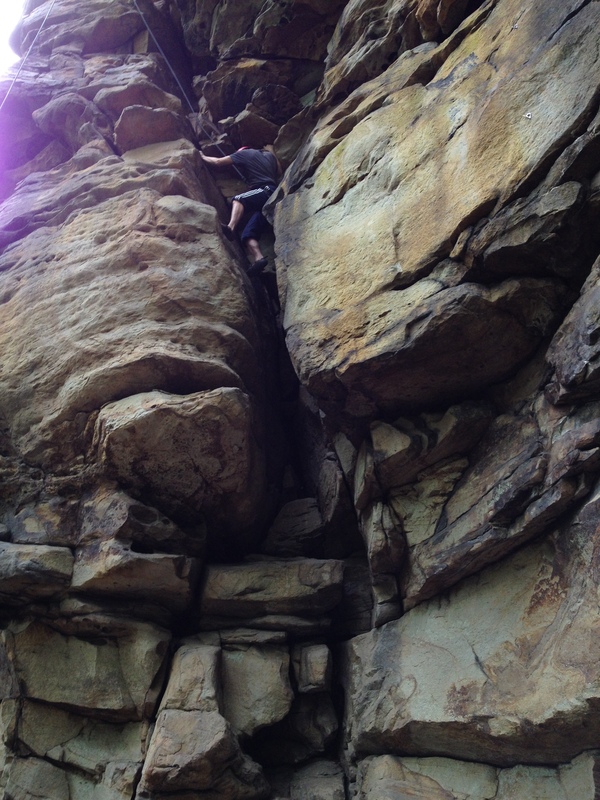 When we switched to climbing I fared better, attempting first a brief chimney climb, and then a more open rock face climb. Our guide demonstrated each climb to us, and pointed out great handholds to aim for, continuing to coach us once we began. It was an invigorating experience, and one I recommend highly. 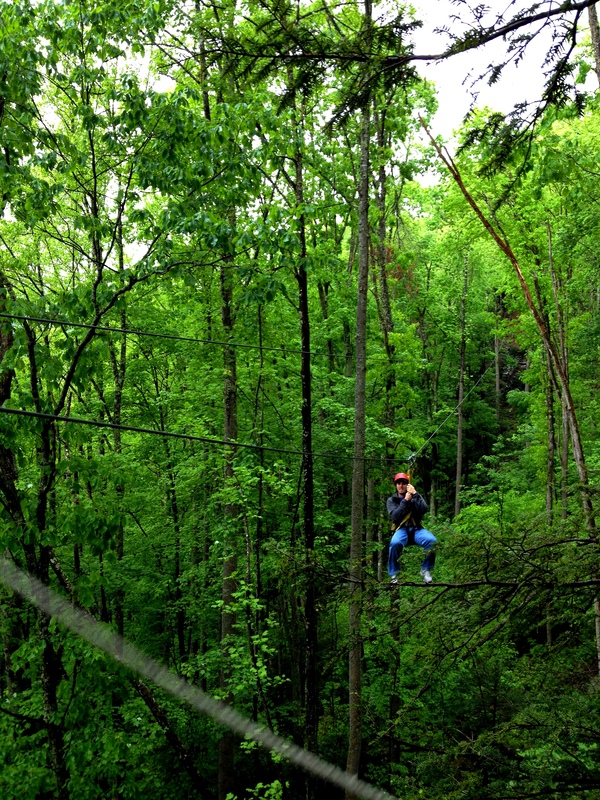 Make sure to head over to The Family Travel Files to check out our articles about all the great family activities available at ACE Adventure Center, including an article on their zip-lining experiences! This really sounds exciting! I would love to zip line, especially after reading this post. And I never even thought of how different it would be at night!!! Thanks for the cool post! Keep ’em coming!